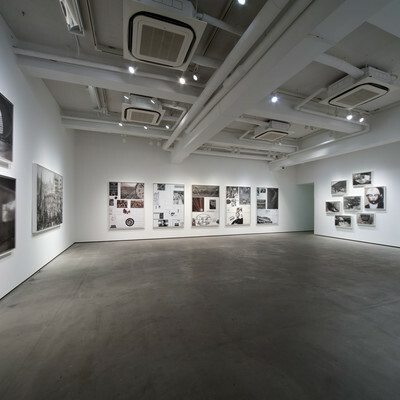 For this project McCallum and Tarry were interested in seeing how the images of the civil rights movement, that are an essential part of their cultural DNA, were presented in Japan. 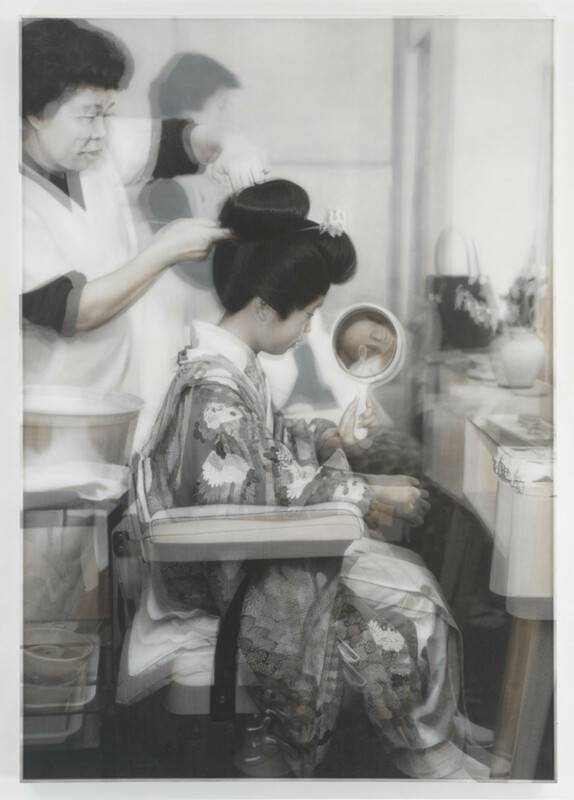 This point of departure, in turn, lead to the artists' discovery of the pivotal importance that 1968 had for Japan - as it did for so many other countries around the world. 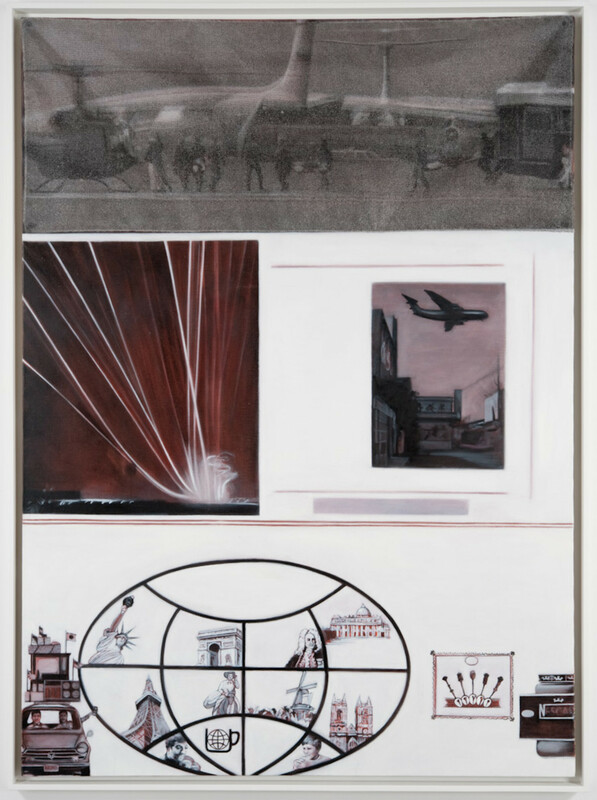 “Indelible Image” is about images of a specific country at a precise time that eerily echoes other struggles, of other people, in other lands, within a weirdly synchronistic world time frame. It is about a shared past, formatted in different grids, coded in different languages, and read in opposing manners. 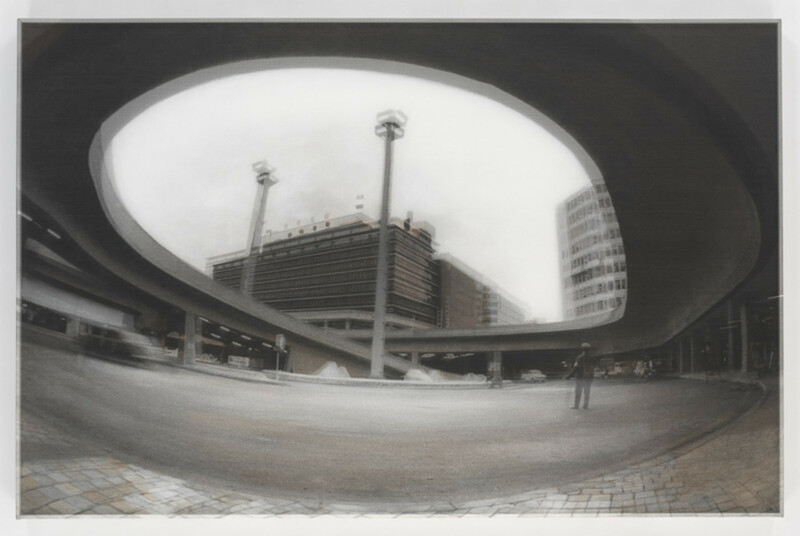 It is about the intersection of memory, time, and place. The project emerged from an invitation to participate in the Tokyo Wonder Site Creator-in-Residence and the experience of a new cultural context. Research is an essential part of our creative process but this was our first experience working with a foreign archive and we allowed ourselves to be guided by our intuition, beginning with an initial idea but permitting ourselves to explore the other tributaries that inevitably emerge, as we deepen our research. 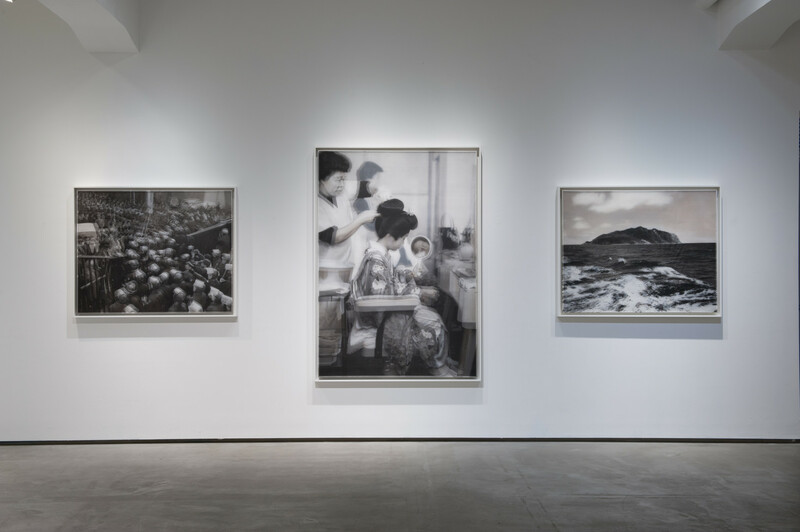 We viewed thousands of images, made selections, refined these choices, and discovered the complex political and cultural significance of the images. 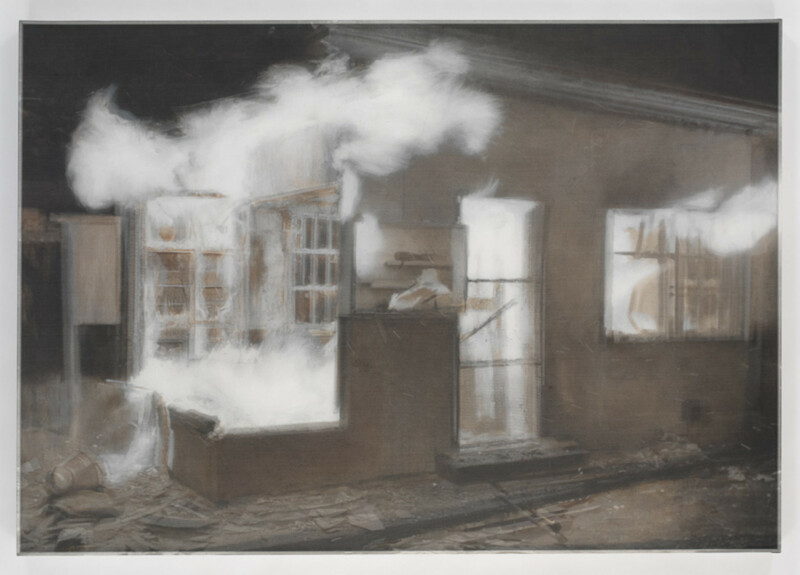 We were particularly intrigued by images that connected with our personal experience, images of civic and political issues of the time period we were interested in, images that were part of popular culture and finally, by seemingly dormant images. Entering this vault of information and exploring its content permitted discoveries that enriched our creative process, our personal experiences, and our thinking about the geo political issues of the time. 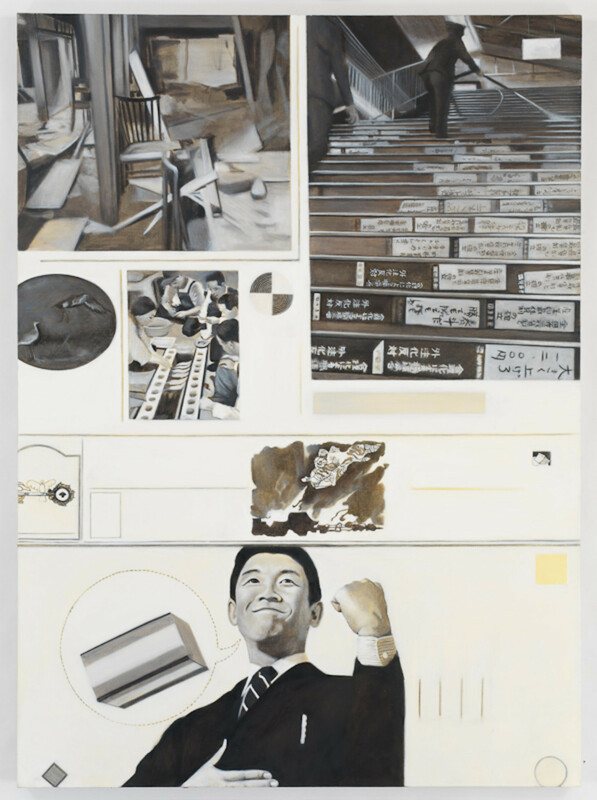 Thus the series of paintings began as we stood in the vastness, that is the Tokyo National Diet Library, and began our research of Japanese newspapers from a known position, the dates surrounding Martin Luther King’s assassination. Working with a translator we were interested in seeing how the images of the civil rights movement, that are an essential part of our cultural DNA, were presented in Japan. This point of departure, in turn, lead to our discovery of the pivotal importance that 1968 had for Japan - as it did for so many other countries around the world. In the United States, 1968 was a bridge between the civil rights movement and the anti-war protest of the Vietnam War. In Japan, the youth movement also questioned environmental issues and the country’s quiet aid to the American government as they waged war in Vietnam. 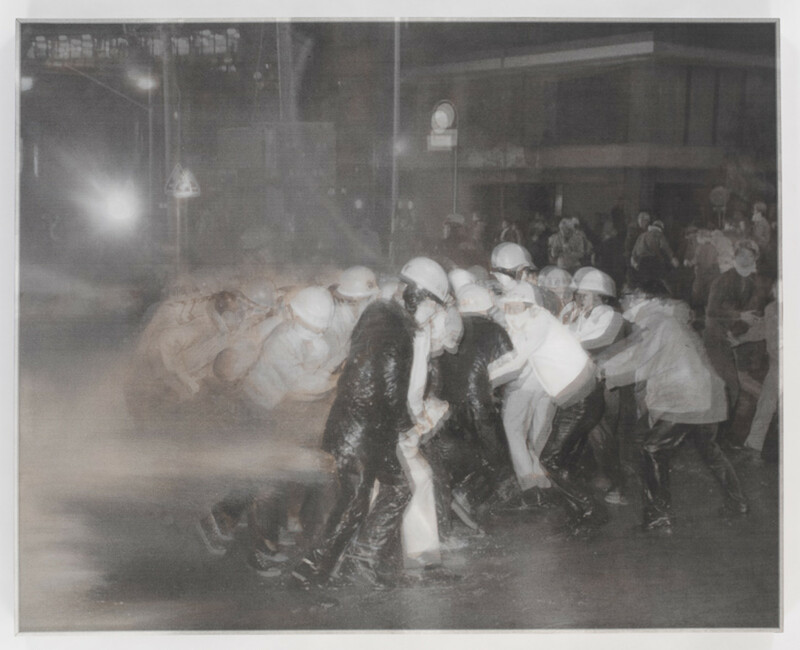 The images of student protesters clashing with police is both specific to actions of the individuals in the photograph but also represent an archetypal gesture of resistance mirroring those in Alabama, Chicago,Prague, Paris and Mexico. 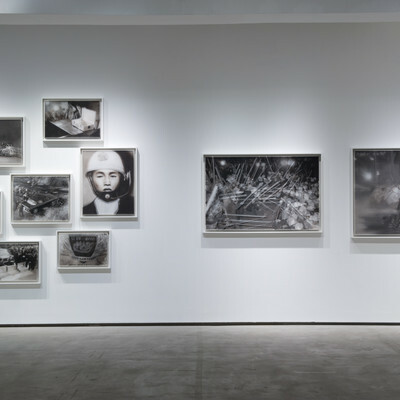 The exhibition thus reactivates images from 1968 (a date characterized by young people and marginalized communities challenging authority locally and internationally) in a way that allows the images to be linked and de-linked from their original signifiers. Thus the “Indelible Image” is both bounded by the mark it has left and free to float above it. 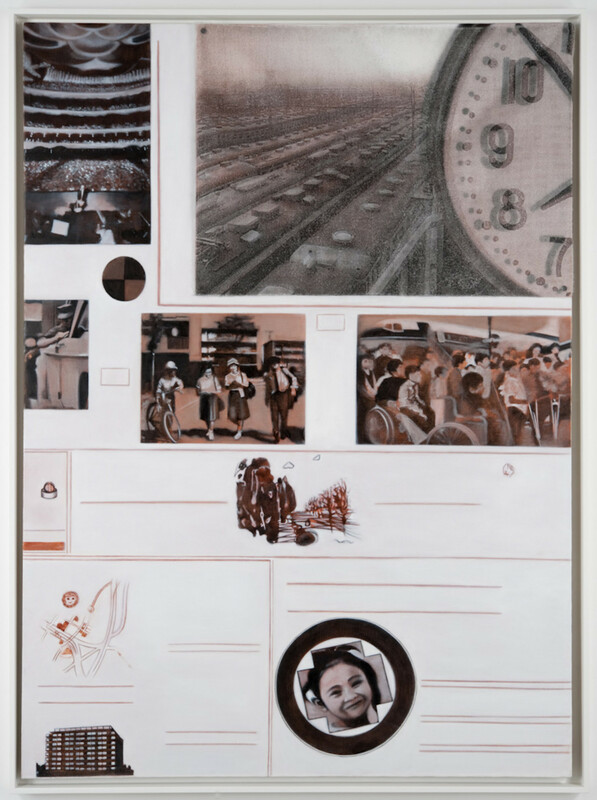 The paintings are a composite of two layers of visual information that when viewed become subtly animated. 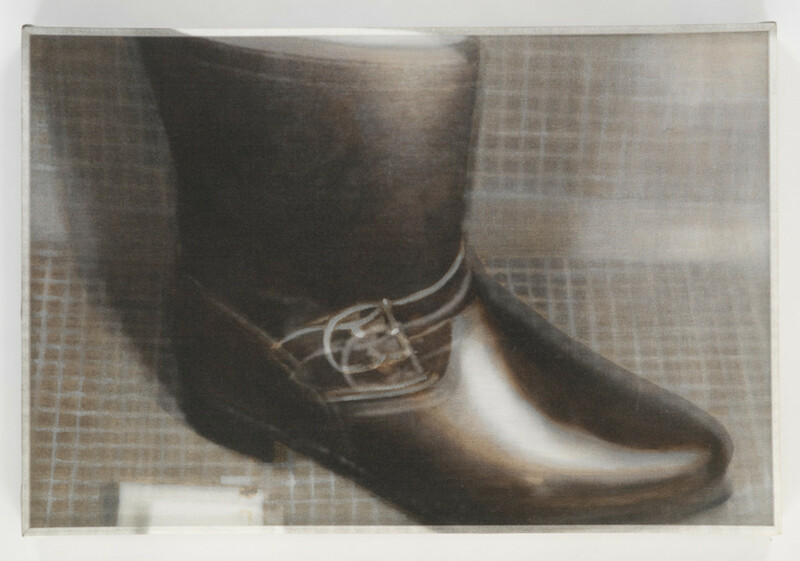 The ground is an oil painting of the source image and just centimeters in front of this, above this surface, is the actual photographic image printed on transparent silk. The viewer looks through the silk screen onto the painted surface. 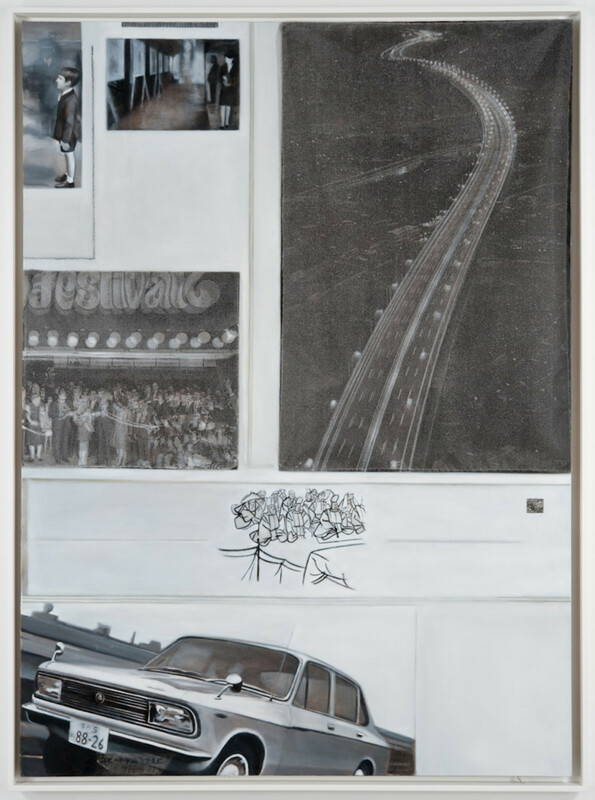 The formal layering of the work culminates in a painting that mediates between the document, the event, the viewer and the interpretive possibilities that surround them. 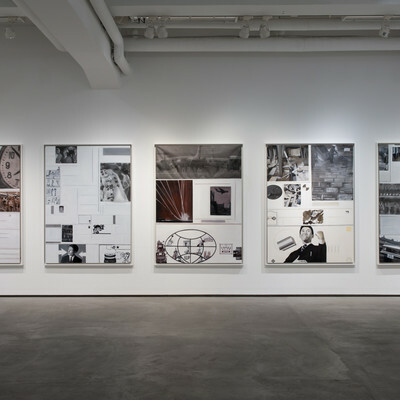 What has been closed, filed in an archive, is now open, animated by the viewer who ultimately shifts the relationships between the depths and the surfaces of the work. 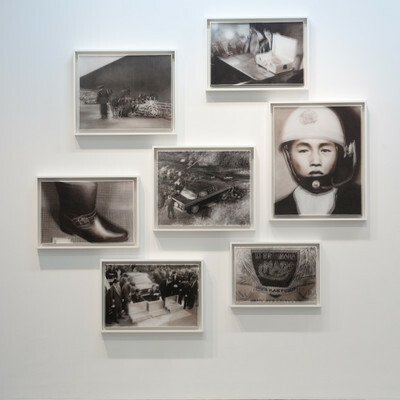 We also found, as we sifted through catalogues of actual news photographs in the Japan Times Archives, that upon first viewing some of the images seemed abstract, benign and poetic but they were in fact loaded with cultural and political significance that we needed to carefully unwrap. 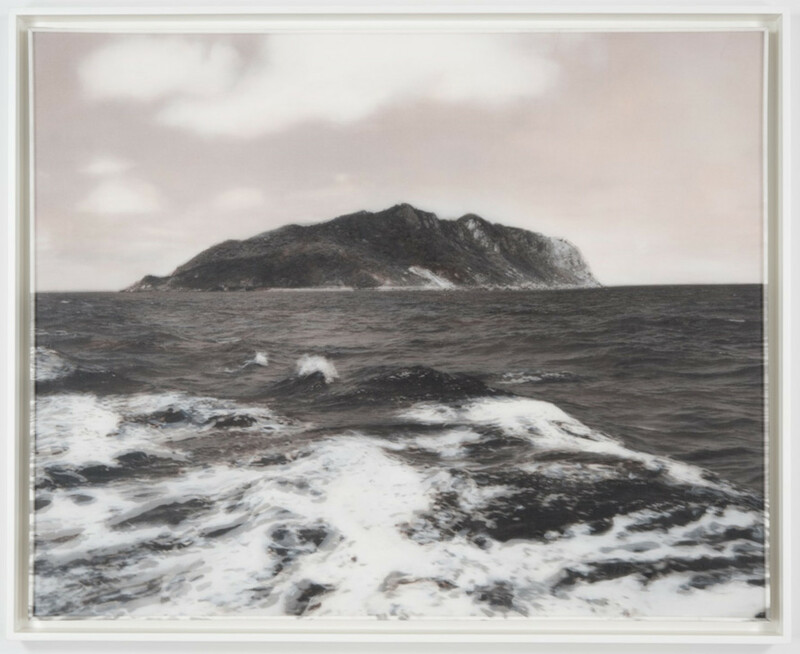 One such photograph, an 8” x 10” black and white image of an island emerging majestically from the swirling pacific waves quietly referenced the ongoing Japan – US relationship and a history that has been shaped by struggle and displacement, ownership and repossession, surrender and reclamation. 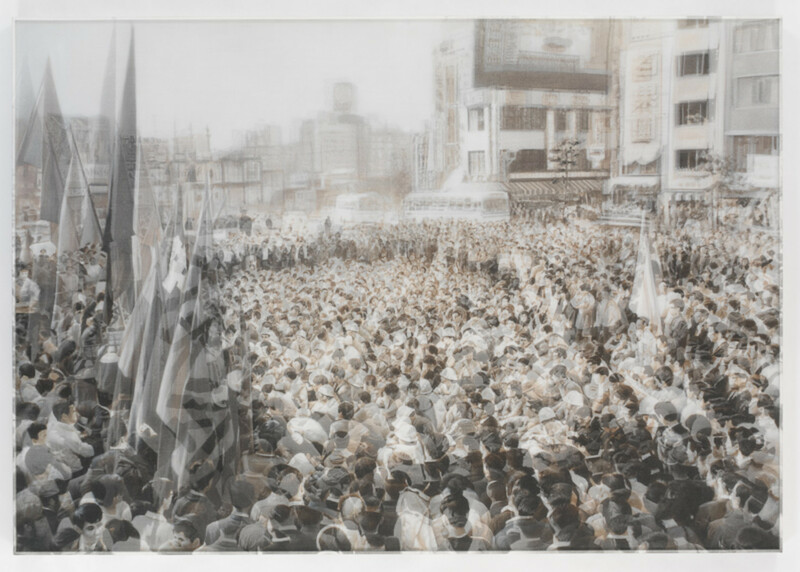 On the back of the photograph it was noted that the image was taken on the day that the US returned this strategic island to Japan as a quid-pro-quo agreement to silence protests against the USA’s use of the military base in Okinawa during the Vietnam War. We present this image on its own terms, aesthetics, melancholic and poetic. 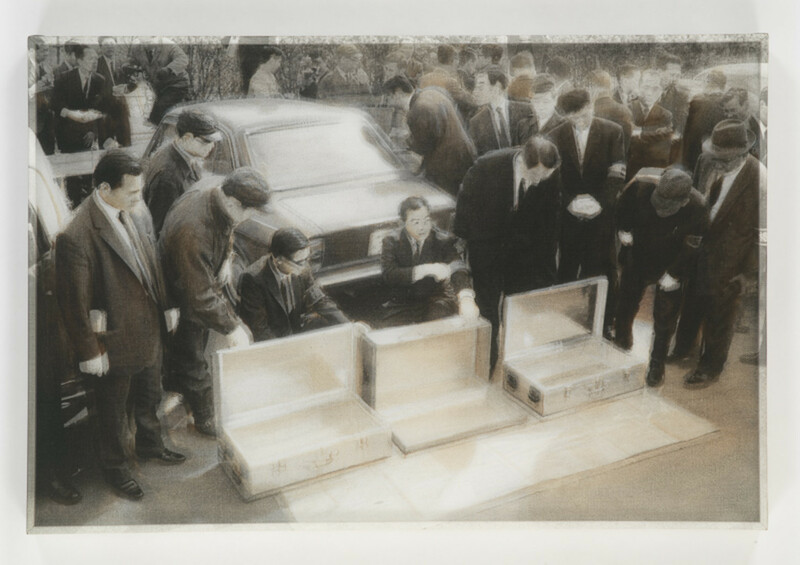 Continuing our fascination with photographs taken as “evidence”, the images of a boot, an abandoned car, and a composite photograph of the robber, led us to the December 1968, 300 Million Yen Incident - a crime that to this day remains unsolved but is widely known in popular Japanese culture. 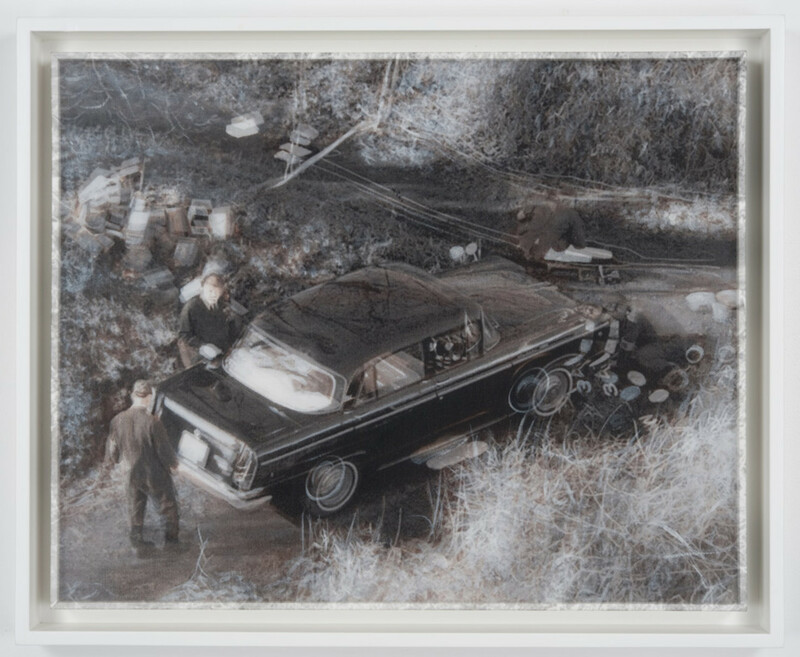 In this instance our choice to create a series of paintings based on these images, was about our shared curiosity for this case, the radical success of the crime, and the traces and clues that remain captivating. 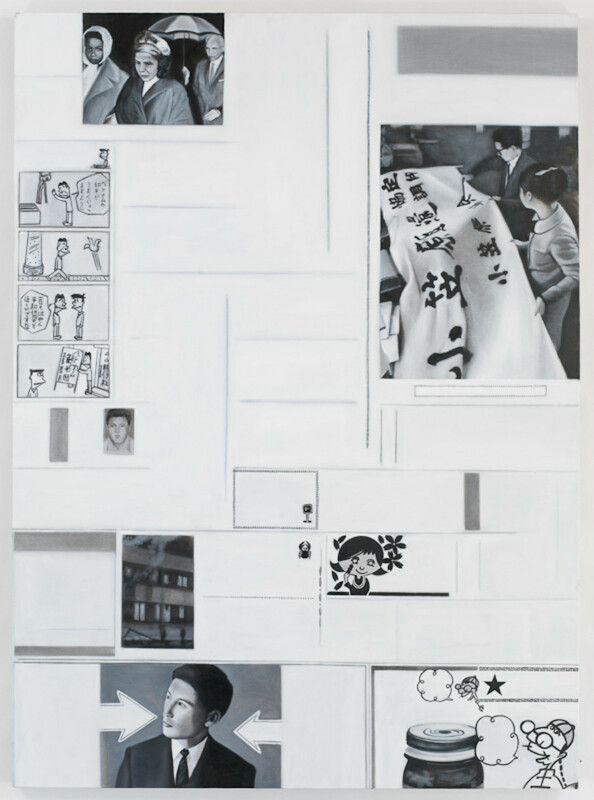 The Tokyo residence stimulated our creative process and expanded our awareness of the role we play in recreating narratives that question the American national agenda through images that were widely circulated in Japanese newspapers in 1968 for example. 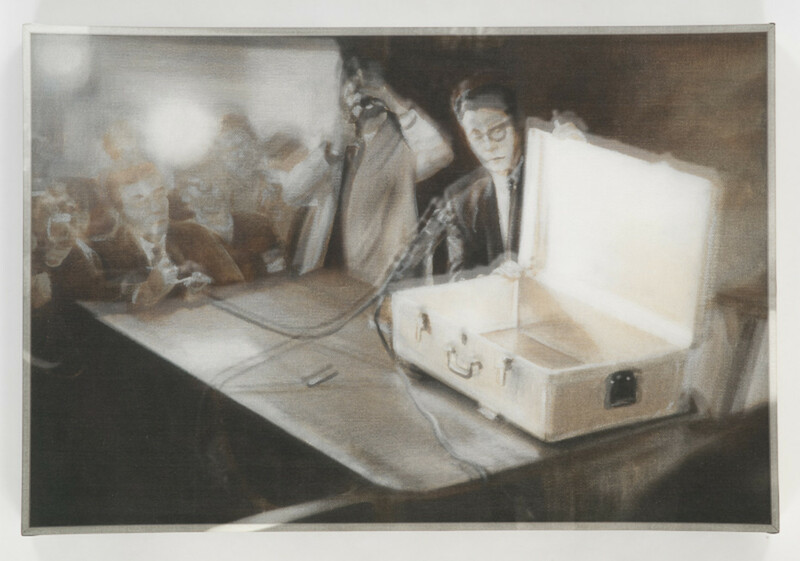 But it was also provided fertile ground for the critical questioning that lies at the heart of our artistic practice.